In 1986, Jerry Brandt started J. Brandt Co., Inc. and turned his garage into a manufacturing plant with approximately 15 accounts and one employee. Located in the heart of Fort Worth, Texas, the company has come a long way since its early beginnings but Jerry still holds true to the ideals he instilled in himself and the organization. 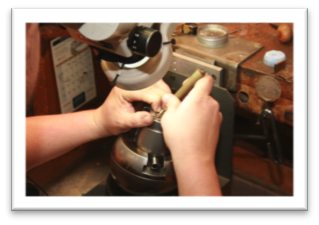 Our recognition jewelry has been an industry leader ever since, with meticulous attention to craftsmanship and superb customer service. 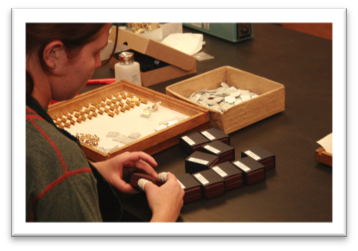 Prior to starting J. Brandt, Jerry worked in the jewelry industry several years until his expertise naturally led him to start his own company – a company he could run in a manner that was different from any other recognition jewelry manufacturer. After two years of substantial growth, the company moved in 1988 to a larger facility just west of downtown Fort Worth. At this location for 14 years, the business grew and serviced more than 500 customers. 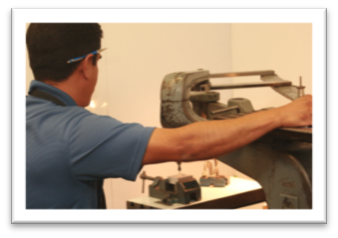 Our current location, since 2002, has three times the manufacturing capability and state-of-the-art equipment. 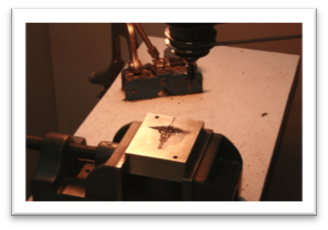 Since the early days, our continual goal has been product improvement and innovation. Our new facility has helped us continue to achieve these goals and more! In January 2006, our company name was changed to J. Brandt Recognition to reflect the nature of our business and recognize our 25-year milestone. To this day, we remain a family-run business. Jerry is still involved in the day-to-day operations and envisions a bright future for the company. With several in-house sales representatives and a fully staffed art department, we look forward to working with you on any recognition program. Call us today!